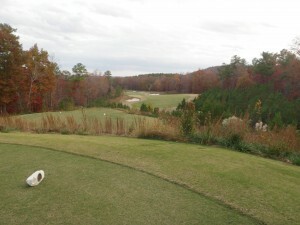 Autumn at FarmLinks Golf Club. A major scourge of golf is about to be attacked at one of the most unique golf clubs in the country. FarmLinks Golf Club at Pursell Farms in Sylacauga, Alabama, is one fine golf course but is also known as a living agronomic laboratory which more than 10,000 superintendents and turf specialists from around the world have visited to learn best practices during the last 10 years. There, course maintenance staff members attend workshops to view how newly developed experimental grasses, growing techniques, and equipment can make golf courses more resilient and environmentally conscious, truly a vision into the future of golf. But the future won’t be too bright unless the continual thorn in its side – slow play – is addressed. Considering its status as a research facility, FarmLinks is taking action. On Saturday November 2, 2013, the club will celebrate its 10th anniversary by hosting a day-long assault on slow play, encouraging all golfers to play as much golf as possible as long as they keep it under 3 and 1/2 hours. The club will record data on golfers’ efforts to play ready golf, keep lost ball searches under a minute or two, minimize marking balls on the green unless absolutely necessary, and maintain pace of play with the group ahead. Impossible you say? Not really. 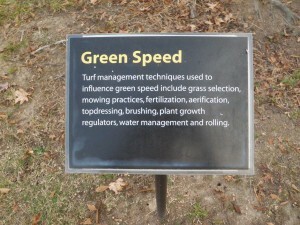 Green speeds can impact pace of play. For a special rate of $99, nearly 30% off the regular green fee, participants will receive unlimited golf and use of the practice range, cart, a Southern-style lunch, snacks, non-alcoholic beverages, and a “FarmLinks 3.5 Club” golf hat. Tee times must be made in advance and are available on a first-come, first-serve basis. Ironically, a few days later, on November 7, 2013, the USGA will host a day-long symposium examining slow play, “While We’re Young: Golf’s Pursuit of a New Paradigm for Pace of Play,” at Golf House, in Far Hills, New Jersey. Representatives from the USGA, LPGA and PGA Tours, Troon Golf, Golf Digest Magazine, Southern California Golf Association, the PGA of America, Columbia University, AJGA, and Pace Management Systems will present their ideas. But where is representation from the real world? Like course rangers, or business golfers who have time between meetings, or Twilight golfers – who know how to play a lot of golf before the sun sets? Or what about women, the ones who are usually falsely accused of slow play and try to hurry their groups because they know they’ll be accused of the transgression? Only one woman is slated to be on this panel of 18 industry leaders: Heather Daly-Donofrio, LPGA Senior VP of Tour operations. It is interesting to note that FarmLinks, an independent golf club, is actually doing something about slow play while the country’s leading golf organizations and businesses are, well, talking about it. 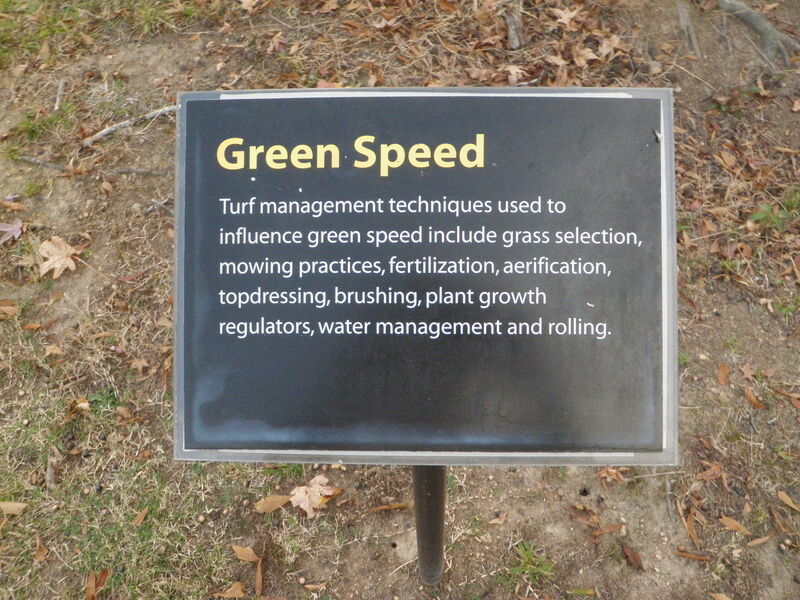 Perhaps some members of the Symposium panel will be on hand November 2 at FarmLinks to observe this experiment. Better still, to play. Can they pass the test too?